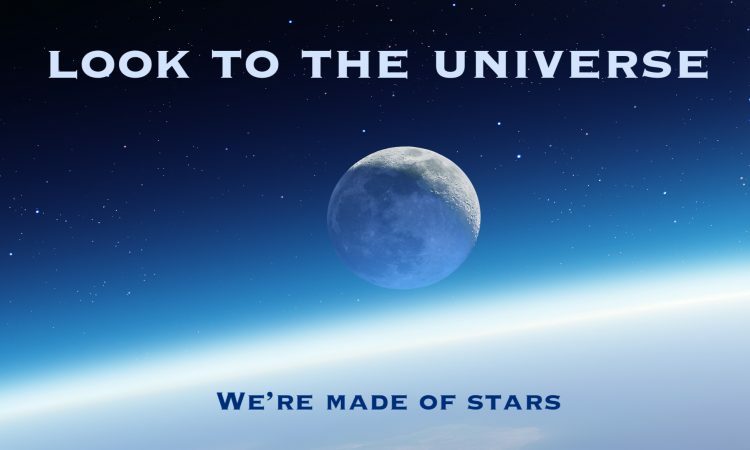 LOOK TO THE UNIVERSE – WE’RE MADE OF STARS! We’re all made of stars and that’s a scientific fact, so it’s perhaps why many of us are drawn like magnets to the cosmos in search of our identity as humans within that ginormous mass of multiple galaxies and our own milky way. 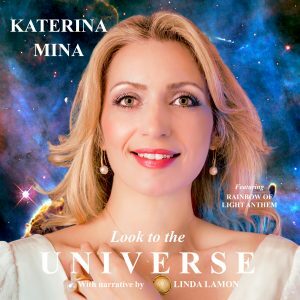 Look to the Universe was written by Linda Lamon as a tribute to the late Professor Stephen Hawking, the celebrated theoretical physicist who did much to help unravel the mysteries of space and time with his publication of A Brief History of Time. The song came together after songwriter Linda heard a speech given by Hawking at the Starmus festival of science, astronomy and music, where she also met Soprano Katerina Mina who went on to record the piece. 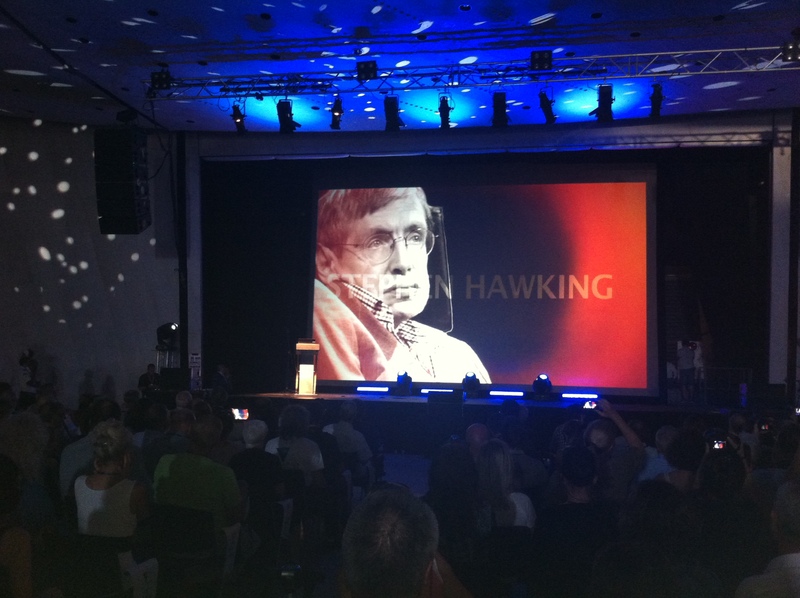 “I was inspired by Stephens’ optimism and courage and was moved by his desire to encourage people not give up hope. This is my interpretation of his message.” Lamon said. 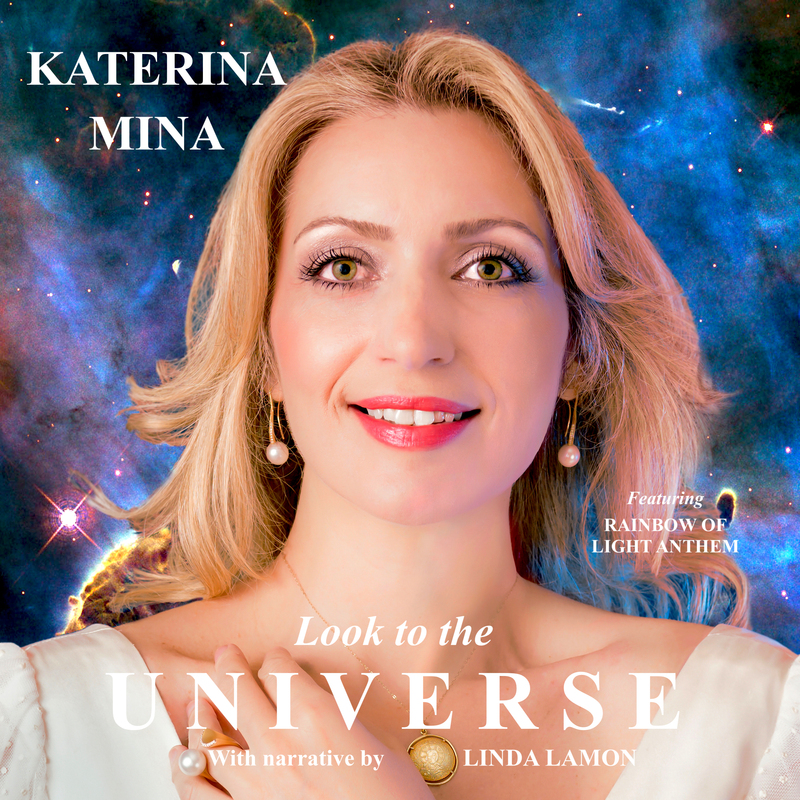 Look to the Universe remix will be released as single on Professor Hawking’s birthday, 8th January 2019, along with Rainbow of Light Anthem as the B side, also sung by Mina. 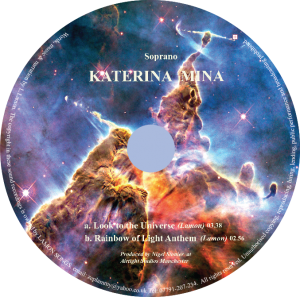 The tracks are from the album Nature’s Universe, that was released in 2018 at the inaugural UNESCO International Day of Light in Paris, when Soprano Katerina Mina performed the two songs live to open and close the global celebration. You can hear the songs on this website under ‘works’. Look to the Universe remix is track 6. But we must keep searching, for we are so near. Enquire a lot and persist. 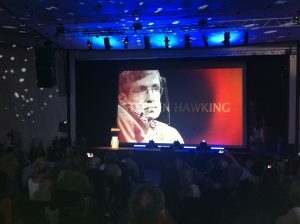 Anything is possible in our diverse world. Even when living seems hard at times. You can find a way to overcome and achieve. Copyright © 2019 Linda Lamon.